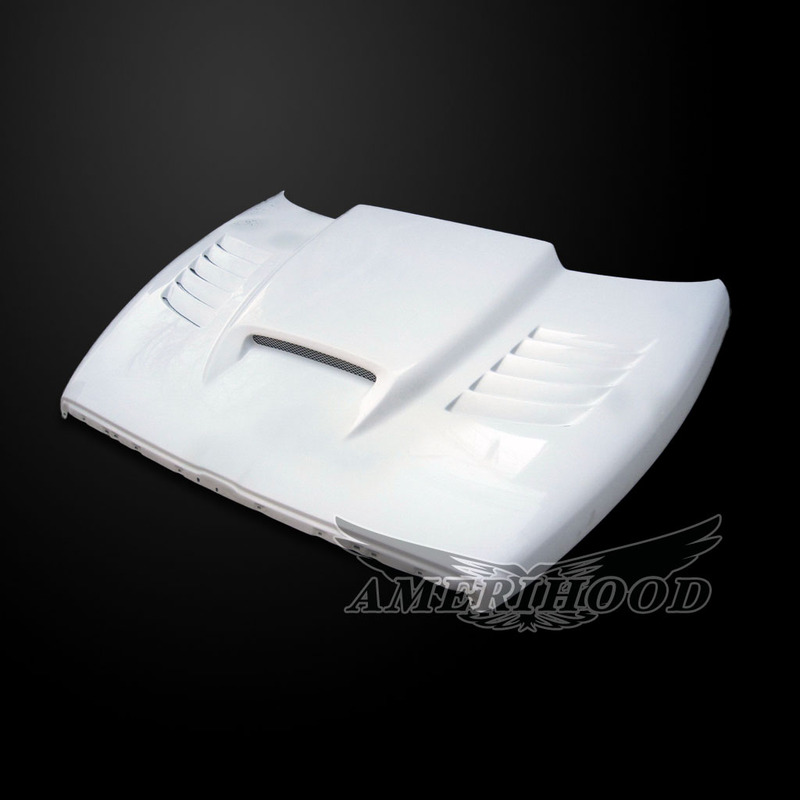 Introducing our newest line of fiberglass hoods in our online catalog. 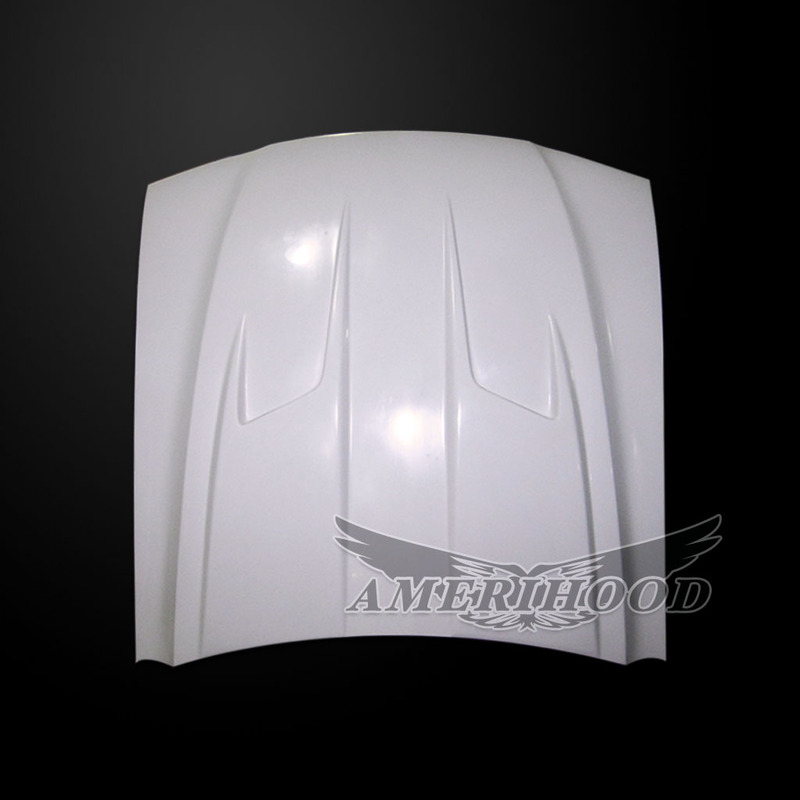 Amerihood fiberglass hood applications are made with the highest quality in mind. 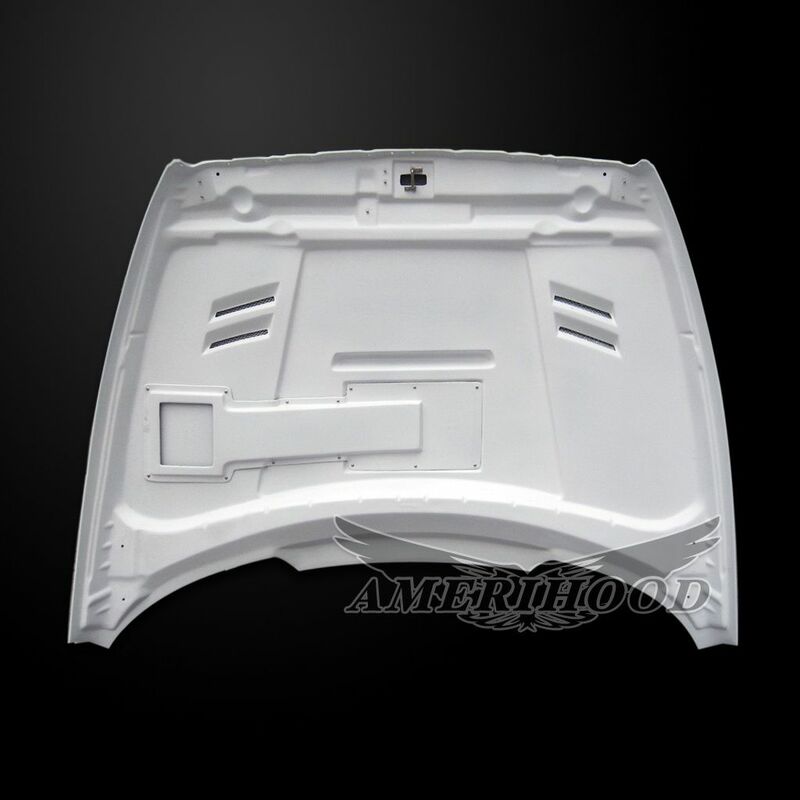 Each hood features a finished top and bottom side with polished white gelcoat. 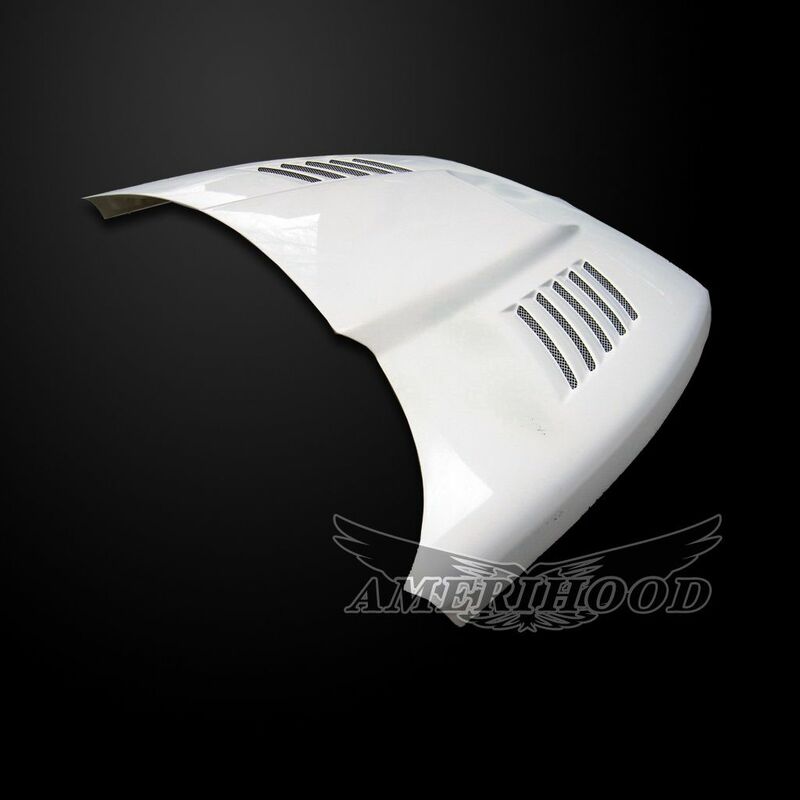 For instance this will save you money when it comes to having the fiberglass hood painted to match your vehicle. With less finish work required your labor bill for installation will save you money over a cheaper inferior quality hood. 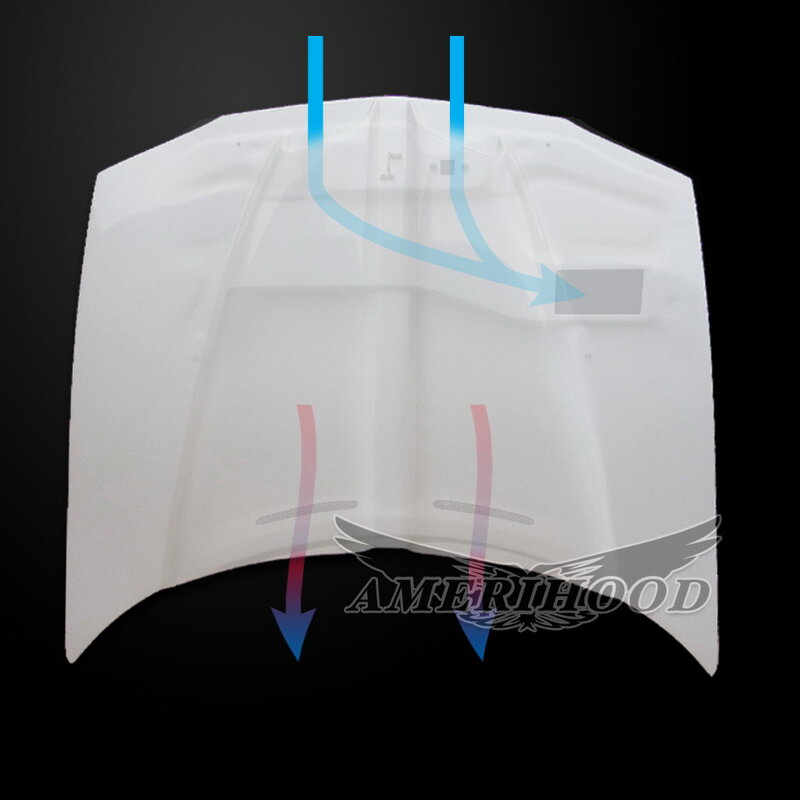 Additionally Amerihood fiberglass hoods are designed with functional cooling engineered into the hood. 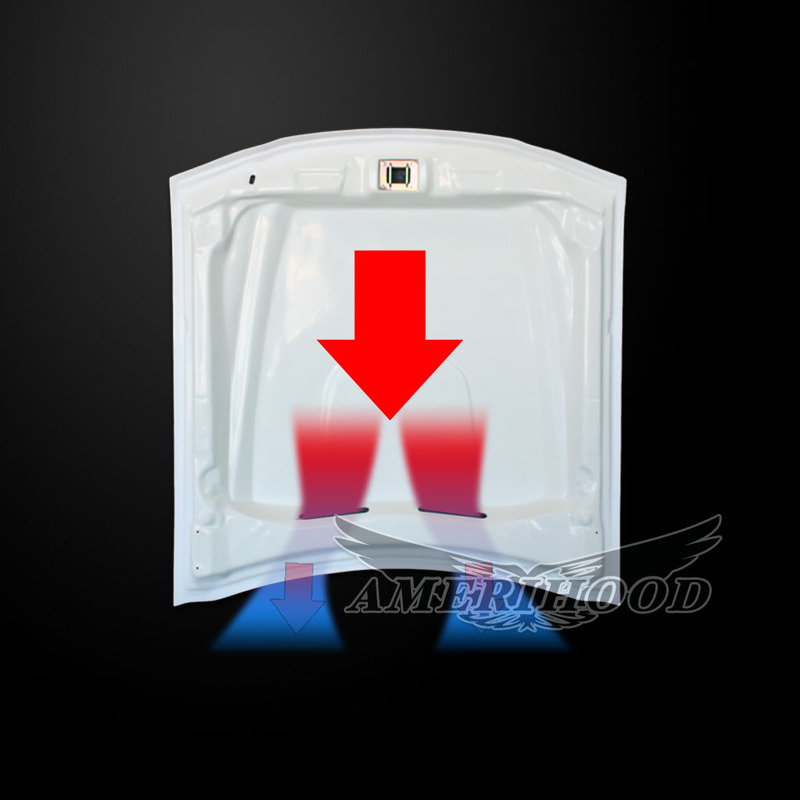 Check out our 1994-2002 Dodge Ram 3500 Heat Extractor Ram Air Hood shown below. 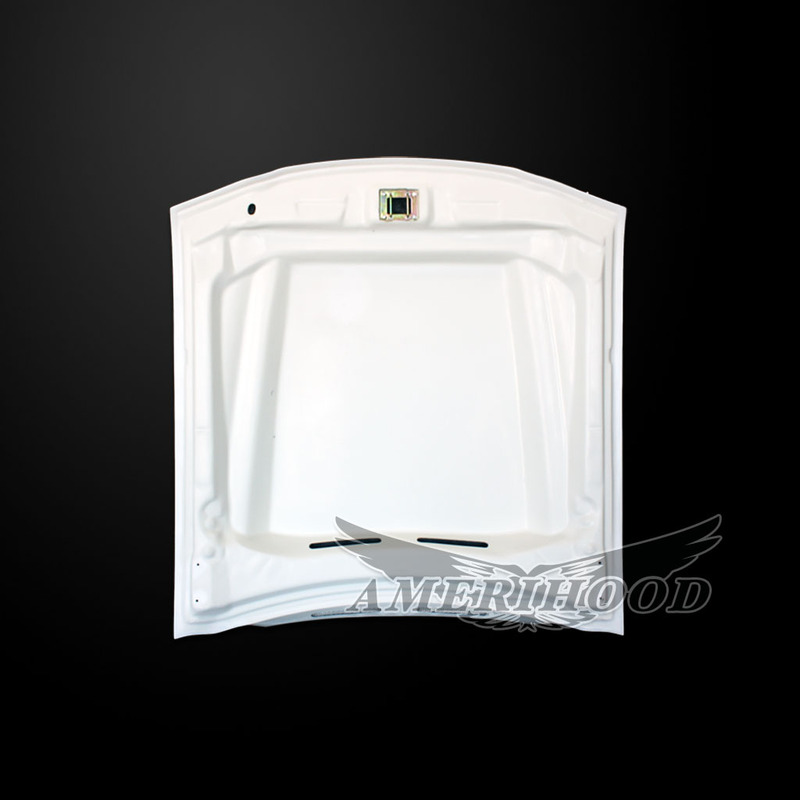 As you can see these hoods are very high quality with clean finish on the top and bottom. Secondly we want you to see how the heat extractor and air vent inlets function. 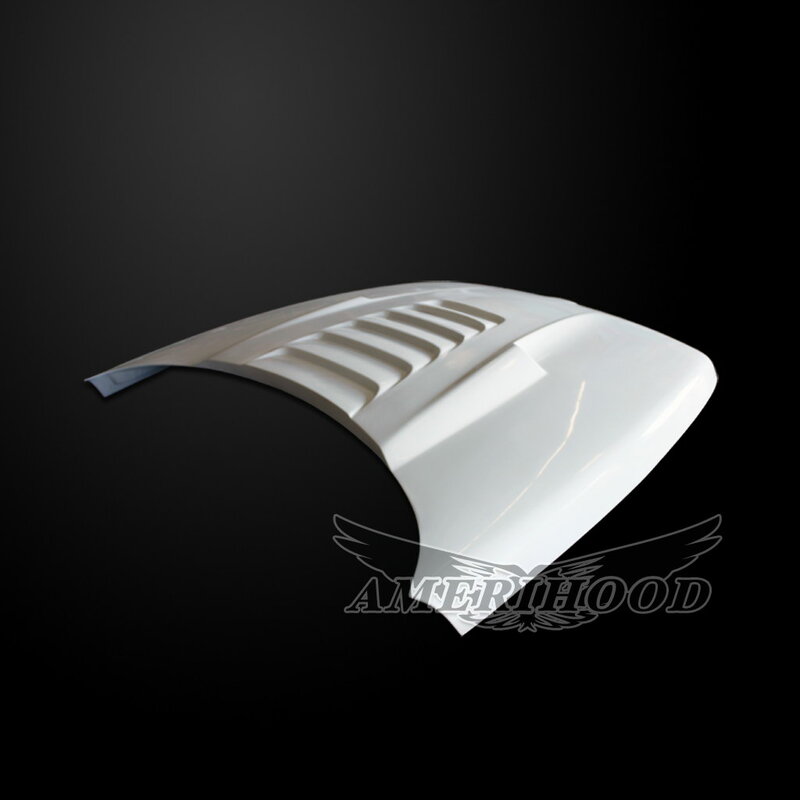 These hoods are an incredible value when you take into account the level of quality and engineering that went into each fiberglass hood. 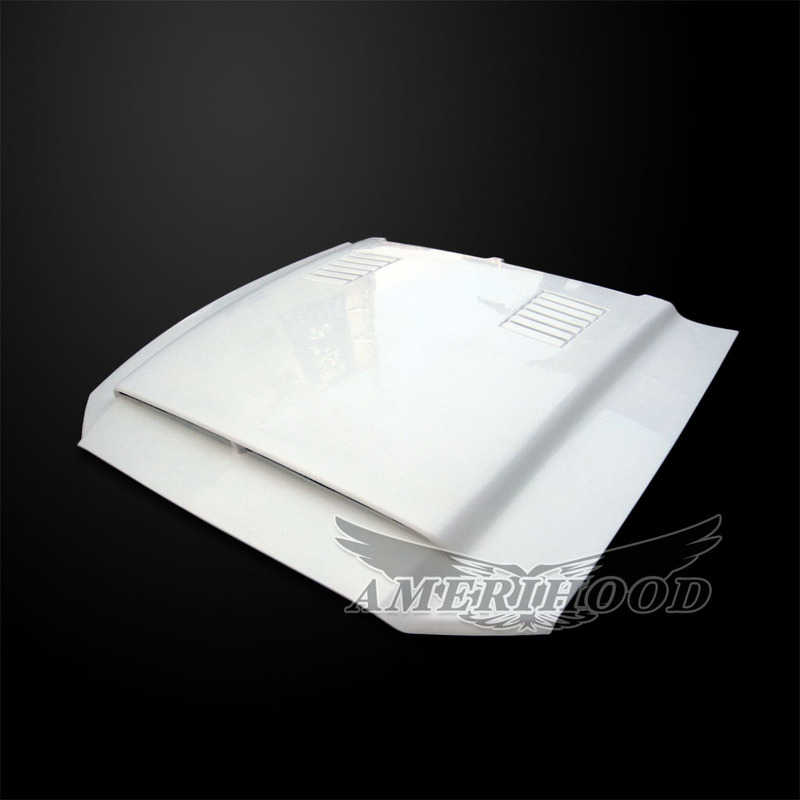 We have included these videos below to demonstrate the strength and quality of their fiberglass hoods. 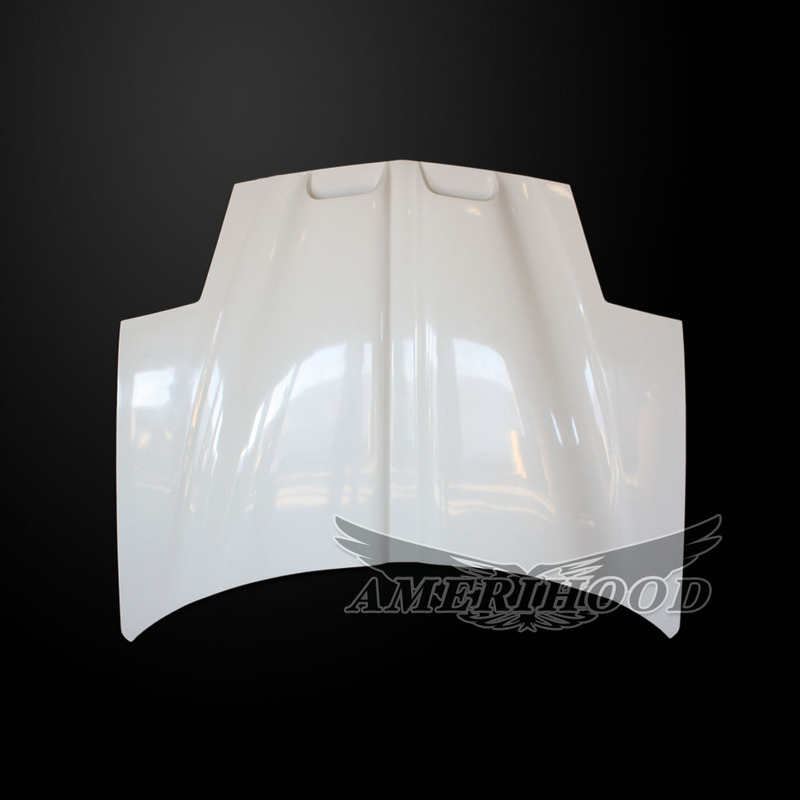 Amerihood fiberglass hoods are strong. 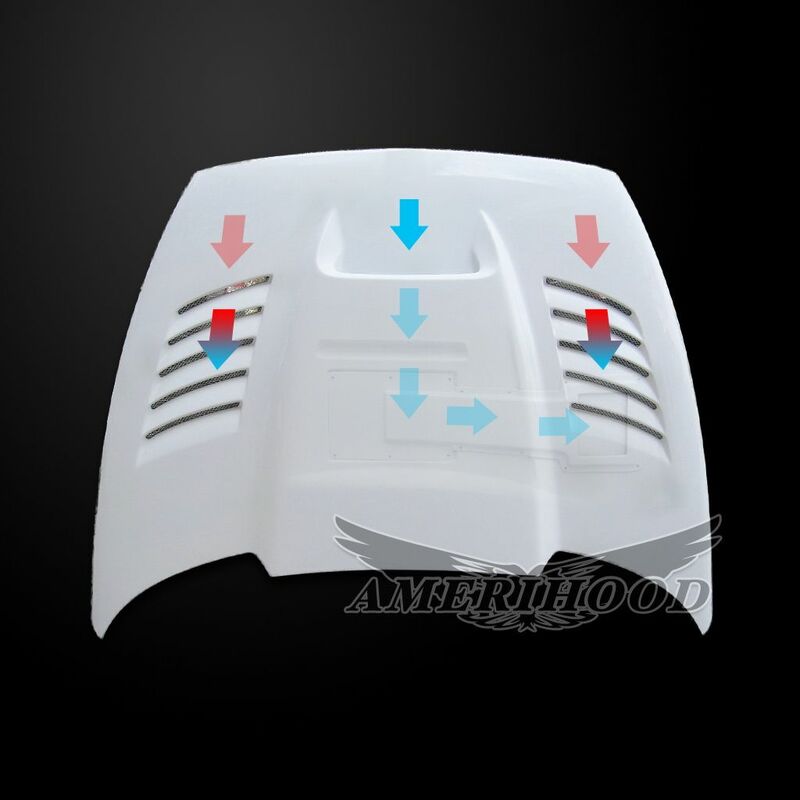 For instance the videos below show how these hoods compare against the competition. 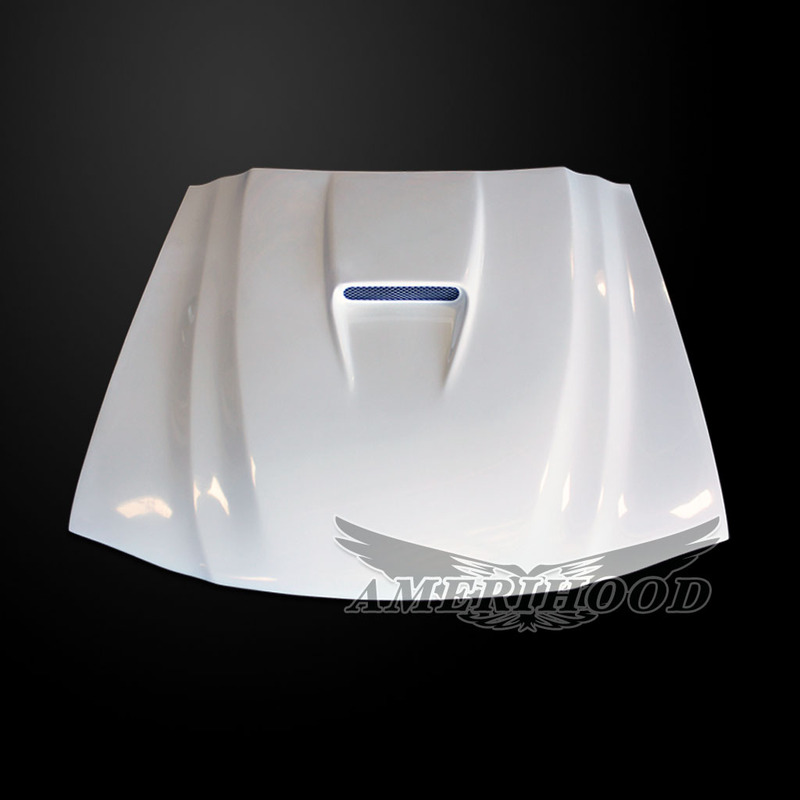 Most fiberglass hoods do not compare to the build quality that is standard on every hood we carry. For example in these videos you can see how they hold up to impact as well as surface tension when weighted. 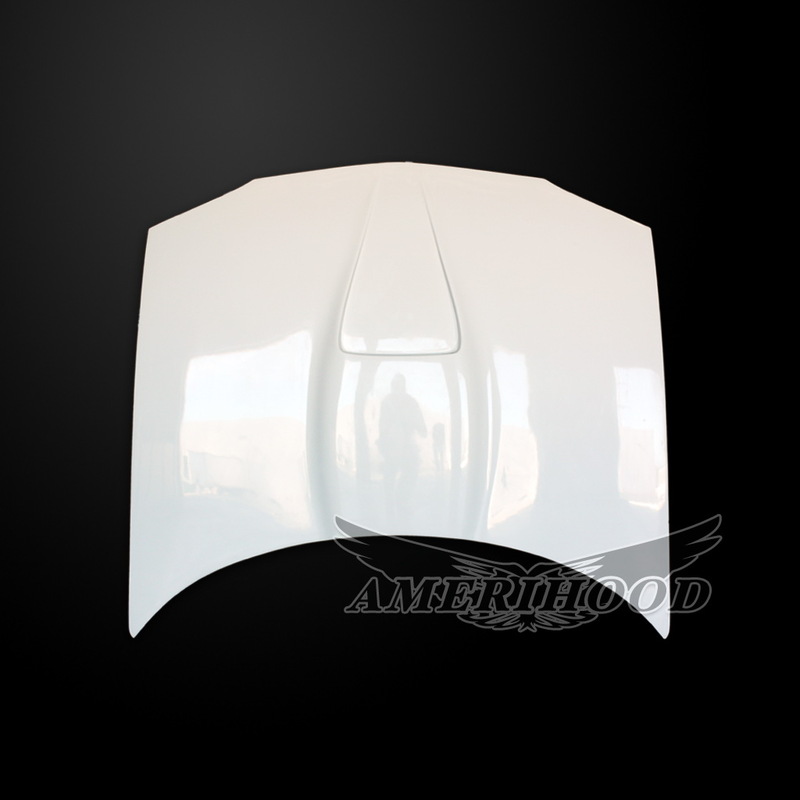 Amerihood produces only the best fiberglass hoods on the market. 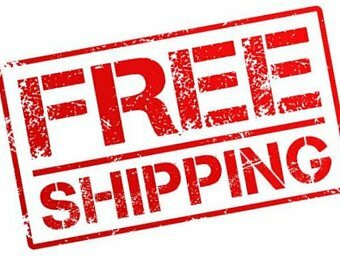 Driven By Style LLC is happy to announce we are offering free shipping within the continental USA on all hoods from Amerihood. We can deliver either to your home or directly to your body shop. 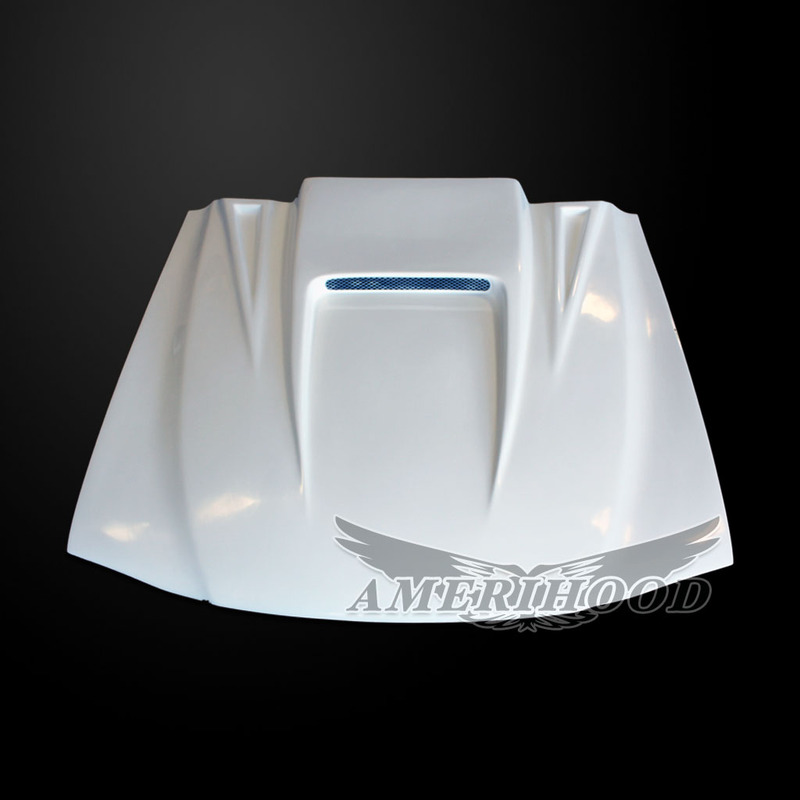 Click here to see all hoods we offer from Amerihood in both carbon fiber and fiberglass versions.